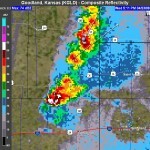 « Colorado Storm Chasers – Start Your Engines! 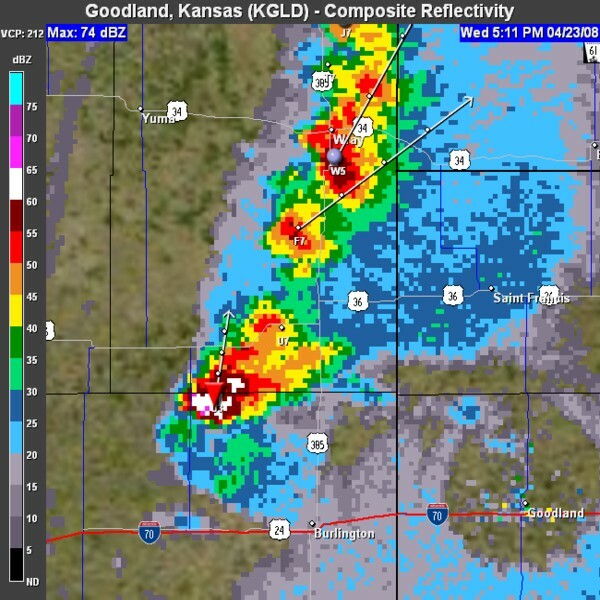 Much of the eastern plains found itself under a Tornado Watch late Wednesday afternoon as a number of thunderstorms moved through the area. At about 5:00pm radar indicated a possible tornado 22 miles northwest of Burlington. 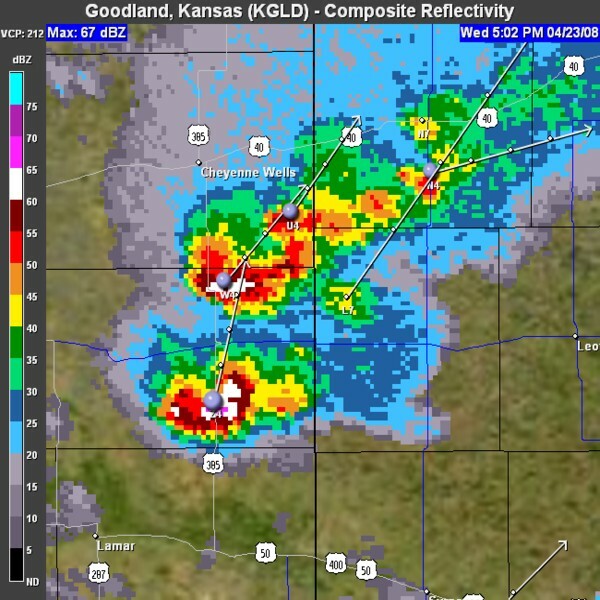 Being a rural area, this has not been confirmed yet however storm spotters have reported hail up to 1.5 inches in diameter from the storm cell. Further south at about the same time, radar detected a storm with some serious rotation about 27 miles northeast of Lamar. One inch hail was recorded in the area but no tornadoes. 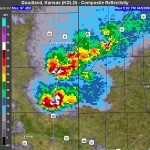 Below are radar captures of the two cells at their prime. These storms have moved east into Kansas at this time however the area remains under a Tornado Watch until 9:00pm. This serves to highlight that this is the severe weather season and while these particular storms were a good ways from the metro area, everyone needs to be prepared. This entry was posted on Wednesday, April 23rd, 2008 at 7:06pm MDT and is filed under Colorado Weather, Severe Weather. You can follow any responses to this entry through the RSS 2.0 feed. You can skip to the end and leave a response. Pinging is currently not allowed.